A guide to the specification and construction of floors and paving for industrial and commercial use. It indicates possible problems and defects, and gives advice on how to deal with them. 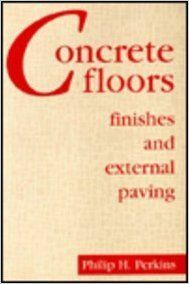 Special reference is given to finishes, such as tiles and screed.